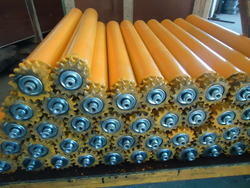 PRIME roller is available with single or double sprocket options. The 14 tooth x 1/2" pitch sprockets are also available in either steel or nylon, to suit your individual needs. Diameter options ranging from 50mm up to 102mm and can be fully welded for maximum high load rating, especially when used in pallet handling systems. The roller can also be made with stainless steel tube, spindle and bearings to be used in the food handling industry, with the nylon sprocket option for light loads and a fully stainless steel option if required. 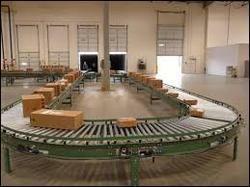 In addition a true taper roller is available to suit 800mm inside radius bends. 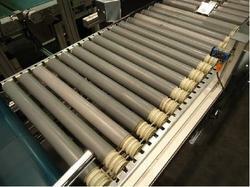 200kg per roller (dependent on roller length). 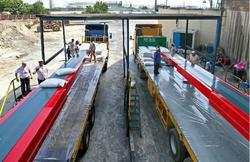 Precision - options of steel shielded or 2RS bearings available. Mild steel or stainless steel bearing options also available. Mild steel, self colour / zinc plated, stainless steel. 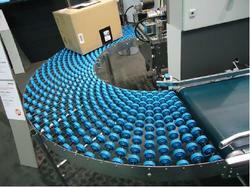 Spring loaded, female threaded, male threaded, flatted, cross drilled. 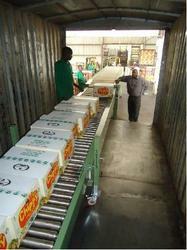 Package goods, plastic tote containers, cardboard cartons etc. Tube Type Mild Steel tube: 50, 60mm dia. Stainless steel tube: 50, 60mm dia. 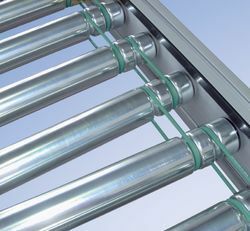 Aluminium tube: 50, 60mm dia. Shaft Spring Loaded: 11mm Hex, 12mm dia. Female threaded type: 12mm dia. Bearing Plastic bearing housing Nylon 66. Beaing end cap seal: PP. 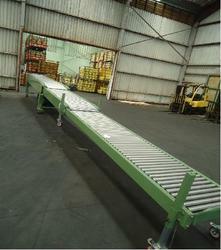 Chain Driven Live Roller Conveyors, commonly referred to as CDLR, provides a positively driven, heavy duty, live roller conveyor. Because of the positive chain and sprocket drive, it's an ideal choice for conveying pallets, containers, drums and other heavy unit loads. 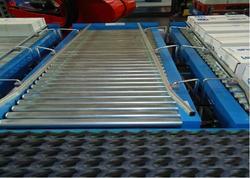 In addition, it's well suited for dirty or oiling environments, where other types of live roller conveyors won't perform. 2-1/2" dia. X ga. Or 2-5/8/" dia. X 7 ga. 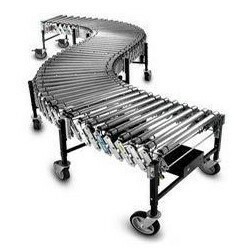 In order to fulfill the demand of various industries, we manufacture supreme grade of Roller Conveyors that are designed to perform heavy duty operation. These are available in different specifications as per size and material. 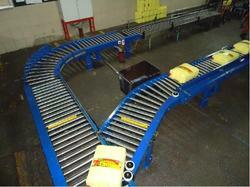 These Roller Conveyors are manufactured by finest quality of raw material. 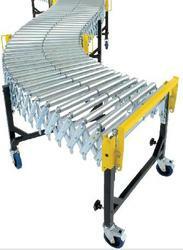 We export these Roller Conveyors to various parts of the world at reasonable price. 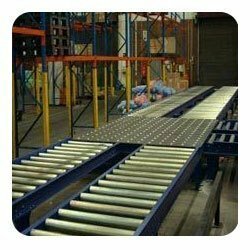 Our valuable customers can avail a large number of expandable roller conveyor from us, which are manufactured using available high quality raw materials and trendy techniques as per the industry standards. These conveyors are highly efficient and durable due to their excellent performance based structures. 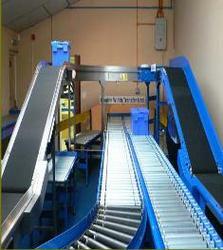 Our entire range of these products includes various unique features such as consistent duty multiple drivers, self tracking, quality stainless steel, effective plastic fabricants, engineered designed, adjustable height, high load carrying capacity, long term reliability, robust construction, flexibility and many more.